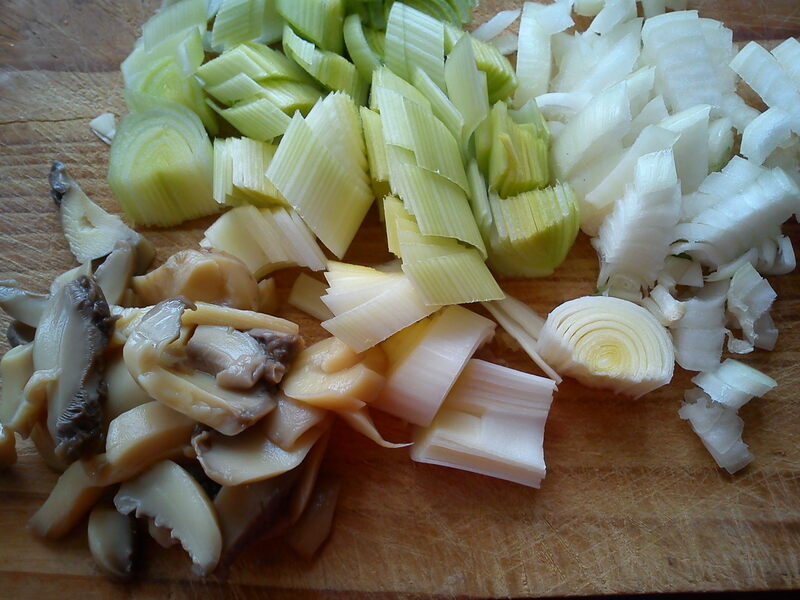 Thinly cut the onion, leek and mushrooms to the same size. In a small frying pan, heat 1 table spoon of sunflower oil and fry the onion and leek together for 2 minutes. Add the mushrooms to the mix, stir for one minute, then add the baked beans. Stir for 2 minutes the time for the beans to soak in the flavours and heat up. Adjust the seasoning then serve on lightly toasted brown slices. This is a great way to stretch baked beans and make a tin go further. Enjoy. Preheat the oven at 200C before starting the prep. Cut the medium onion in 2. Keep half for frying and half for later. Peel 2 carrots, the 3 parsnips then, cut each of them in 4 length way. Cut the leek same way. Place them all in a large bowl. In a frying pan, heat 2 tablespoon of vegetable oil. Fry one half of onion that has been diced, then lightly brown every side of the browned sausage. 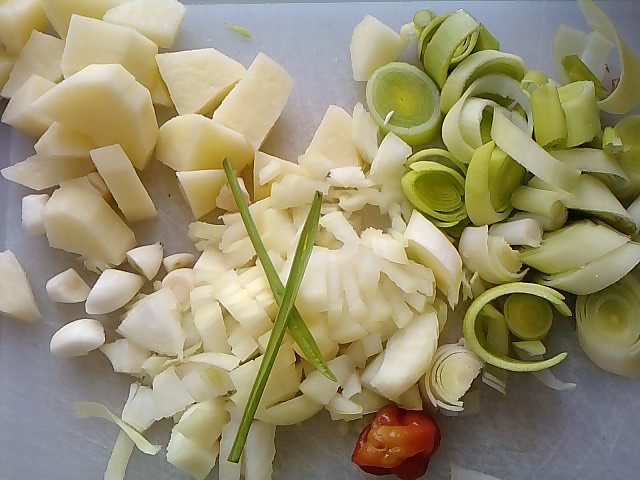 Once that is done, pour the content of the frying pan on the vegetables. 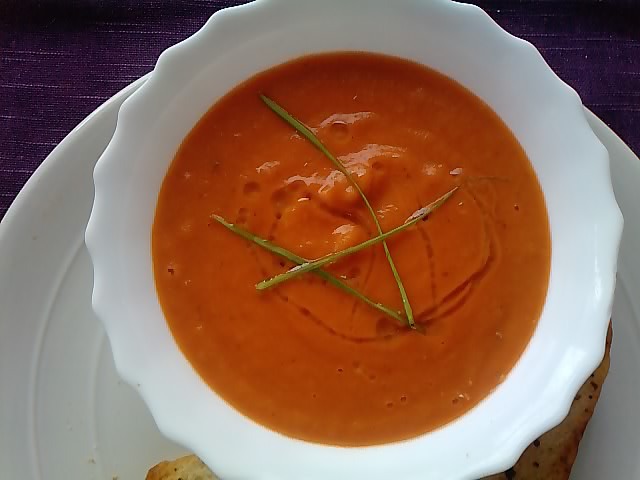 Also add the 200ml of tomato soup, salt and Pepper. Then, crush 1 stock cube on the melange before mixing all the ingredients together. Taste and adjust the seasoning if necessary. Spray a bit of oil on the oven tray and lay on it the pastry sheet. 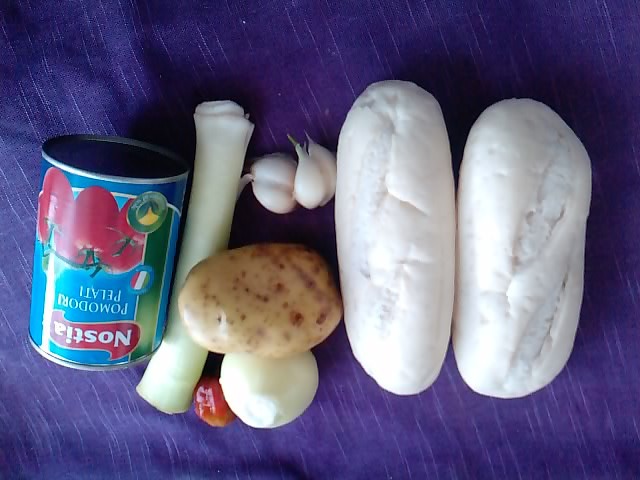 Then, carefully place on its middle all the vegetable and the sausage. Making sure that the sausage is placed at the heart of the vegetable heap. Now bring up the sides of the pastry so the content will not fall to the side. If necessary, cover it all with foil to maintain the shape. Place the parcel in the oven for 40 minutes at 200C. Serve with a small beetroot slaw. Preparing the coleslaw: peel and grate the beetroot, and the 2 remaining carrots. Also grate the leftover onion. Place all in a bowl. Add salt and pepper, plus 3 full tablespoons of mayonnaise. Mix and set aside. The onion can be replaced by white or red cabbage. If you are not fan of coleslaw just serve the parcel with a simple green salad and a light vinaigrette. Peel the potato and cut it very finely. Cut the leek, onion and garlic too, set aside. Heat 2 tablespoons of oil in a saucepan, fry chopped onion and potato until brown, then, add the leek and 3 chopped garlic to wilt, stirring continuously for 1 minute. Now pour in the tomatoes and add the scotch bonnet. Also add in 200ml of water and cover for 20 minutes. What we are looking for here is for the potatoes pieces to be completely soft. After that, blend the content of the pan while it is still hot. For the bread, preheat the oven at 180C. Cut the bread into wedges, mash the remaining garlic and rub it on the wedges. 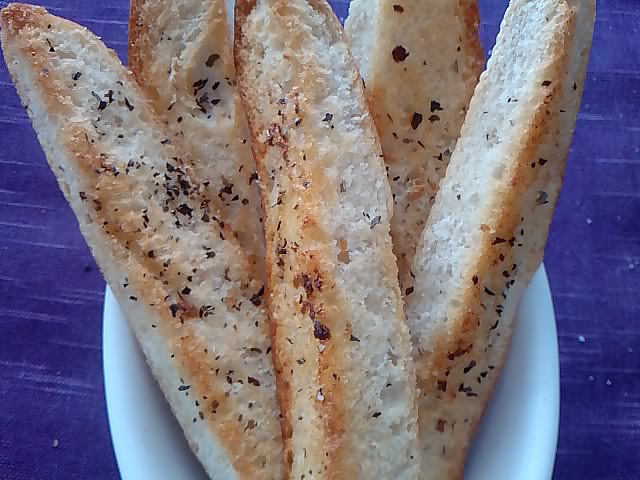 Place the bread on a baking dish and drizzle with oil. Sprinkle on some dried basil and bake for 8 to 10 minutes. Do check out the booklet for some useful shopping tips and the “Did you know” section.